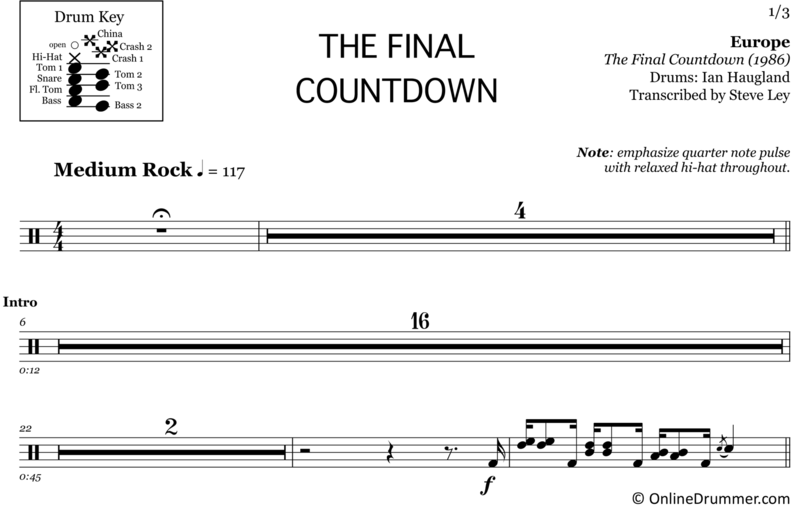 The full drum sheet music for “The Final Countdown” by Europe from the album The Final Countdown (1986). You’ve got to love the “big” drum sounds of 1980s metal and hard rock. This song reached #1 in 25 countries in 1986 and is still going strong today. Ian Haugland’s drum part to “The Final Countdown” fits the ’80s mold perfectly.